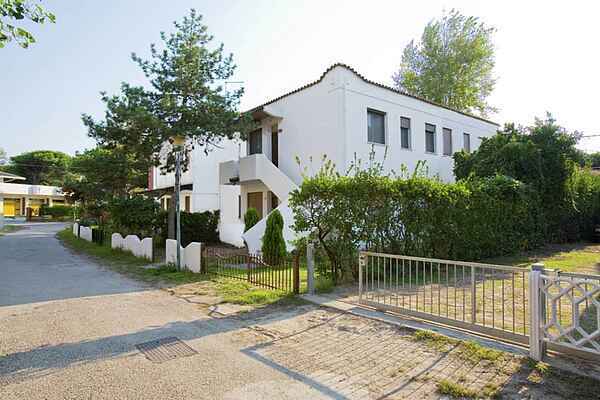 Nice holiday home close to the sea in Rosolina Mare, nearby Venice. This holiday accommodation is divided into various apartments, all nearby the sea. Great position: only 200m from the city centre and 300m from the beach. Well equipped: mosquito nets, TV, washing machine, air conditioning, a terrace and a parking spot. Rosolina Mare offers various services and attractions to tourists: a beach, a pine grove, playgrounds, botanical garden, Delta del Po park, shops and restaurants and much more, to make your stay as special as possible. It is ideally located to visit Venice and the rest of the region.